After I met David and could look back with the 20/20 vision of hindsight, I was able to pinpoint the main reason why I was single until the age of 38. And I believe it might be the same reason why you’re still single. 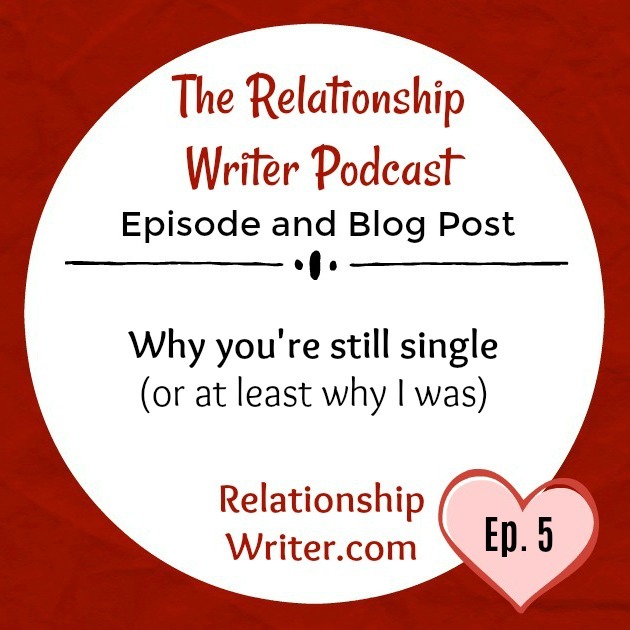 Today, I’m going to reveal why you’re still single, or at least why I was, and how you might go about rectifying it. Now, I don’t know about you, but when I was single, I was consumed by the question: ‘What did I do wrong?’ If someone broke up with me, ghosted me or simply wasn’t interested in me, I’d ask myself, ‘What did I do wrong?’ I figured if I could pinpoint what I was doing wrong, I wouldn’t be single for much longer. I didn’t do anything wrong with past boyfriends. I’m not saying I was the perfect girlfriend because I wasn’t. But every time a man broke my heart, there’s nothing I could have done to make him want to be with me. Either I wasn’t the woman for him, or the timing was off, or both. Well, that was no help to you, was it? Don’t worry. There’s more. Here’s why I believe I was single for so long. What I probably did wrong, although we’ll never know for sure, is not give enough men a chance. I’m not talking about the ones I dated. I’m talking about the ones I dismissed almost immediately, mostly online, for silly reasons. This is something I encounter all the time – with clients, with single friends, with contestants on dating shows. Everywhere. Both women and men are guilty of it, but I think it’s slightly more common in women. Right? There are hundreds of these. In some cases, you might be right. In other cases, you might be wrong. The problem is you don’t know. You really don’t know. But if you gave someone a chance, you might be pleasantly surprised. Then there are the classics – the two most common reasons men and women immediately dismiss each other. For women, it’s height and income. And for men, it’s age and weight. I know, right. Ick. It’s depressing, but it’s reality. Women will instantly rule out men they think are too short or don’t make enough money. Men will instantly rule out women they think are too old or not slim enough. And you know what: None of it matters in the long run. Ladies, I’ll start with you… You don’t need someone tall. You need someone you find reasonably attractive, and attractive doesn’t necessarily mean tall. Go back and listen to Episode 3 for more depth on this topic if you’re interested. You also don’t need someone who makes a lot of money. You need someone who earns a reasonable amount and is financially responsible. Believe me, there are other qualities that are far more important than height and income. And men, you don’t need someone as young as you can possibly get. A woman your own age or even a bit older isn’t old. These are the same women you went to high school with and drooled over in class. They can’t have lost all their appeal. The only slight exception to the rule is the final years of a woman’s fertility if you want to have children, but even then you could be missing out on the love of your life, so you need to be careful. As for weight, you don’t need someone super-slim. Lust might get you into a relationship but it won’t keep you in a relationship, especially as a woman’s weight tends to fluctuate throughout her life. You just need to find her attractive. And if you want her to be forgiving of your physical flaws as you age, such as your pot belly or your receding hairline, you need to be forgiving of hers. These judgement calls tend to happen really early on in the piece, such as on the dating site or the moment you meet someone at a bar or party. Because you think you know what your ‘type’ is, right? I did. Everyone does. But looking back, I now realise I probably let a potential Mr Right slip right by me in my 20s or early 30s based on an assumption or some superficial characteristic I thought was important but really wasn’t. By the time David came along, I was much more open-minded. 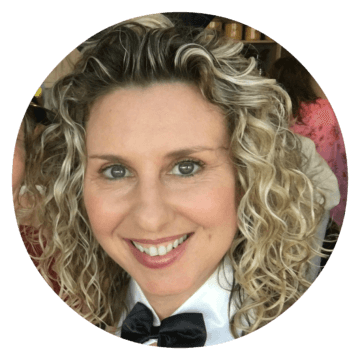 So, when I could see on our dating profiles that we had some glaring incompatibilities, I was willing to give him a chance because I liked his profile, I liked how easily we got along, and I liked that he liked me. The incompatibilities were issues we had to address but, as it turned out, they weren’t deal breakers. Now, I know you’re probably wondering what the incompatibilities were, and I’d love to tell you, but I have to respect David’s privacy. Let’s just say he liked cats and I liked dogs. Actually, that’s not entirely untrue. He likes both cats and dogs, whereas I was strictly a dog person. Well, that was until I met his cat. I’m still a dog person, but I’m now head over heels in love with David’s cat. In fact, if David and I ever split up, I’m taking the cat. Anyway, getting back to why you’re still single… If you’re actively looking for someone to share your life with, if you’re doing online dating, and if you believe you’re bringing your best self to the table but you’re struggling to find your match, it could be because you’re not giving enough people a chance. Let me be clear. This isn’t about being ‘too picky’. When you’re single, there’s nothing worse than people telling you you’re too picky. Ugh, I used to hate that. I’m not advising you to be less picky and settle for someone you’re not happy with. Quite the opposite. I’m advising you to give more people a chance because you never know how incredibly happy one of them could make you. Now, of course you can’t give everyone a chance. You need to have filters. But consider this for a moment: Your filters might not be as helpful as you think they are. It’s highly likely you’re keeping some of the right people out and letting some of the wrong people in. When to give someone a chance – and when to run! There are good reasons to instantly dismiss someone, but they’re probably not the reasons you think. They’re not because he plays video games, or enjoys clubbing, or posted a shirtless selfie. They’re because he seems angry, or bitter, or possessive, or needy, or selfish, or unkind or maybe even cruel. In that’s the case, don’t walk. Run! Other than that, even things such as different religious or political beliefs aren’t necessarily deal breakers. There are thousands of happy interfaith couples, as well as couples who vote at opposite ends of the political spectrum. People are nuanced. Very few things in life are black or white. So, don’t let the reason you’re still single be a non-stop series of bad judgement calls based on assumptions or superficial reasons. Throw out the list. Trust your instincts. And widen your filters. Giving more people a chance might cost you a little extra time or effort, but not giving more people a chance might cost you the love of your life. 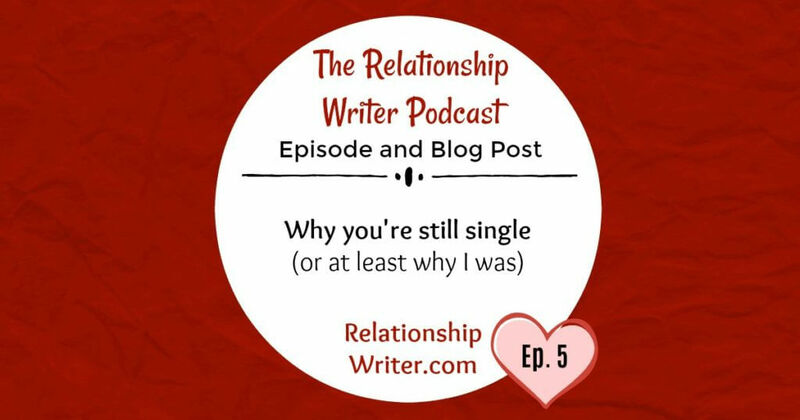 I hope that’s helped shed some light on why you’re still single, or at least why I was, and how you can go about rectifying it. There’s no need to sit around wondering, ‘What did I do wrong?’ because the answer is probably nothing. All you need to do is start giving more people a chance and then wait to be pleasantly surprised. It worked for me. 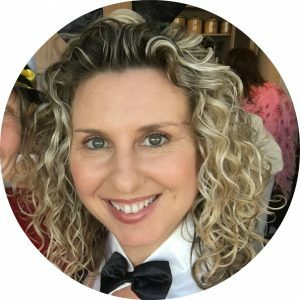 And if you like the idea of having a dating bestie to guide you every step of the way on your journey to finding love online, just visit my website, RelationshipWriter.com, to find out how I can help you.